Box CEO Aaron Levie hasn’t been shy about his love for Uber, often calling it one of his favourite apps. On Tuesday, Levie reiterated his passion for the taxi hailing app during the Emergence Capital Mobile Forum in San Francisco. When asked to name some of the apps he could’t live without now, Levie didn’t hesitate to mention Uber first. 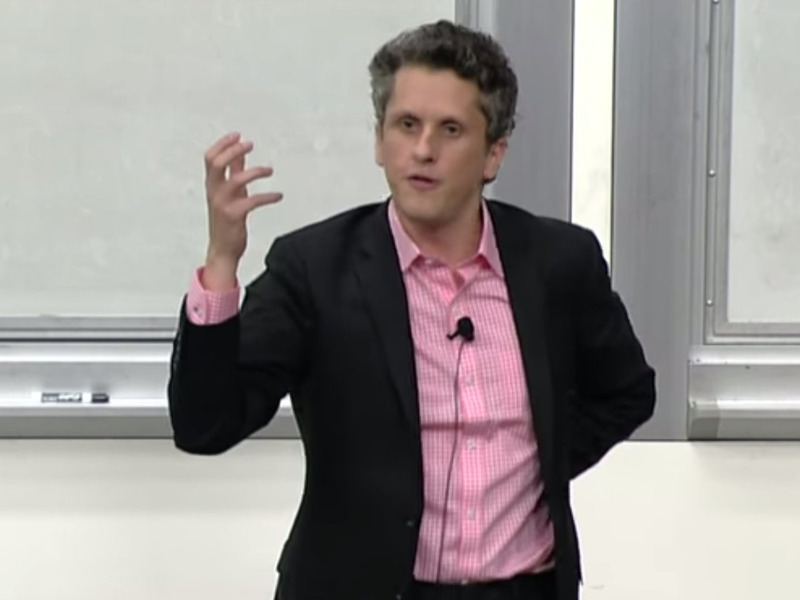 “Uber is, by definition, amazing,” Levie said. “But more importantly, it’s an example of an app that changes every industry to think about mobile,” he said. Levie stressed that it’s the larger implication of Uber’s service that really makes it special. For example, the hospitality industry now has to think of ways to deal with the notion of “on-demand, completely digital experience” and how it’s going to impact its customers. He mentioned the old shipping companies that have been working the exact same way for the past 100 years, and how they will have to rethink their entire workflow because of mobile. This isn’t the first time Levie talked about Uber’s larger impact on businesses. During his “How to Start a Startup” lecture at Stanford last month, he made the same reference to Uber. Even last year, he tweeted the following, after Uber raised a new round of funding at a $US3.5 billion valuation (today, the company is valued at over $US17 billion). Uber is a $US3.5 billion lesson in building for how the world *should* work instead of optimising for how the world *does* work.